Support the Rolling Tigers Booster Club and donate in memory of the late Dr. Fox Metcalf. 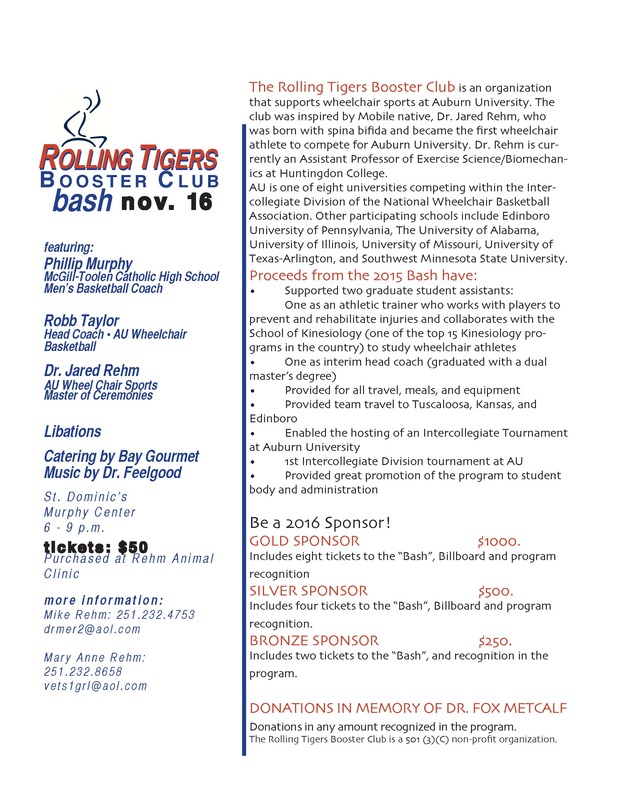 The Rolling Tigers Booster Club Bash, set for Nov. 16 at St. Dominic Murphy Center in Mobile, supports wheelchair sports at Auburn University. To learn more or make a donation, contact Dr. Michael Rehm ’85 at drmer2@aol.com, or call 251/232-4753.